Book this unique location for live broadcasts or pre-recorded programmes. 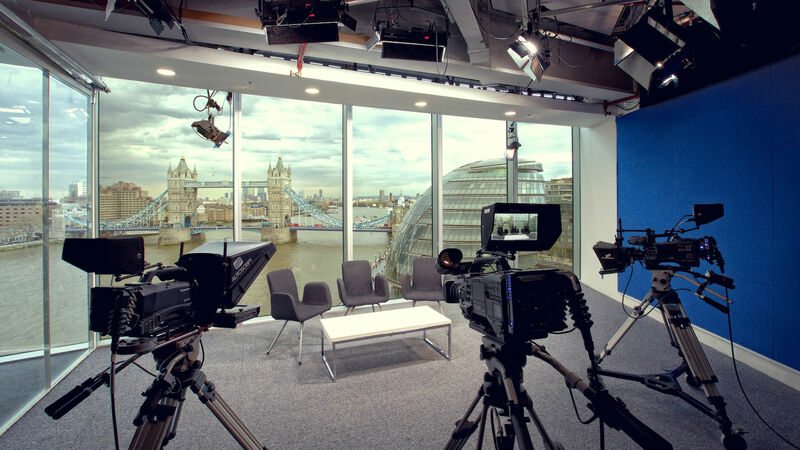 Choose the fully equipped Tower Bridge TV Studios for live broadcasts and pre-recorded programme production. This multi-camera HD television studio boasts an incredible backdrop, featuring Tower Bridge, City Hall and the London skyline. The studio location offers excellent facilities, including a production control room, a chroma key blue-screen wall, broadcast connectivity to BT Tower and floor-to-ceiling windows. Find out more about hiring Tower Bridge TV Studios. Get in touch with Katy Yates via email at katy.yates@trickboxtv.com, or call +44 (0)20 7193 9722.